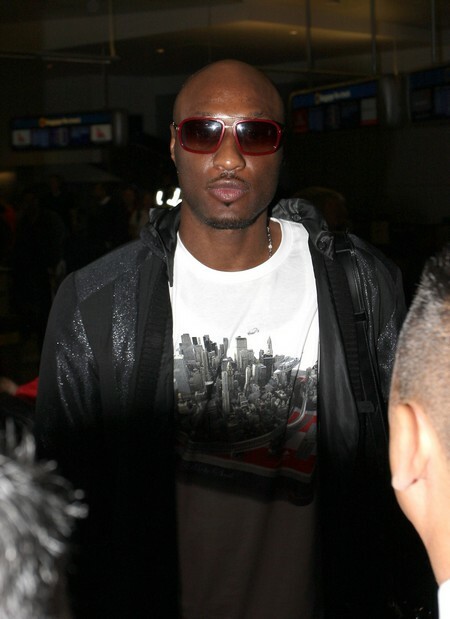 Holy Kat, Lamar Odom has been reduced down to a D-listed nothing thanks to Khloe Kardashian and all that Kardashian Krap! I’ve been saying it for weeks now, haven’t I been saying it? Did I not tell you there was trouble in the Kardashian/Odom camp (Lamar Odom)… you know who I mean. He was traded from the Lakers in LA to that team in Dallas and now apparently to a D listed team. See you guys, I reported that he was going through stuff – and going through stuff he is. The man is stressed out and cannot seem to concentrate on his game. I wonder why, let’s see, shall we. Number one his father is not in good health. Number two he is supposed to be expecting another child, (funny though after the announcement no further news about that Hmm…). Thirdly and most importantly his game is way off. This is how the man has been earning his living all his adult life. Now with Khloe Kardashian and her family and their constant drama-filled lives, I think that would make it hard for any athlete to concentrate. Now I know she loves her, “Lamy”, but what I want to know is how much she will love him if he stays in the D league and quits her reality show? I’m perplexed by the claim that his being on the reality show is throwing off his game. I mean this is the, “second” season. It’s not like a shock to him, he is not a newcomer anymore. If he didn’t want to do it or couldn’t handle being in it anymore all he had to do is say no. If I may speak quite frankly from my sources, not a lot of people are really watching that show because they are tired of her and her family’s shenanigans. It’s not like riveting must-watch TV. A-listed NBA team and I doubt that any booing he gets from the fans at his games messes with his head. He’s focused and taking his check to the bank. So Lamar handle your business get it together, get focused. Good Luck dude.